I am thrilled to announce the launch of my new book, a novel called In Two Worlds. It is currently available on Amazon in paperback form and will be available in Kindle and Smashwords very soon! 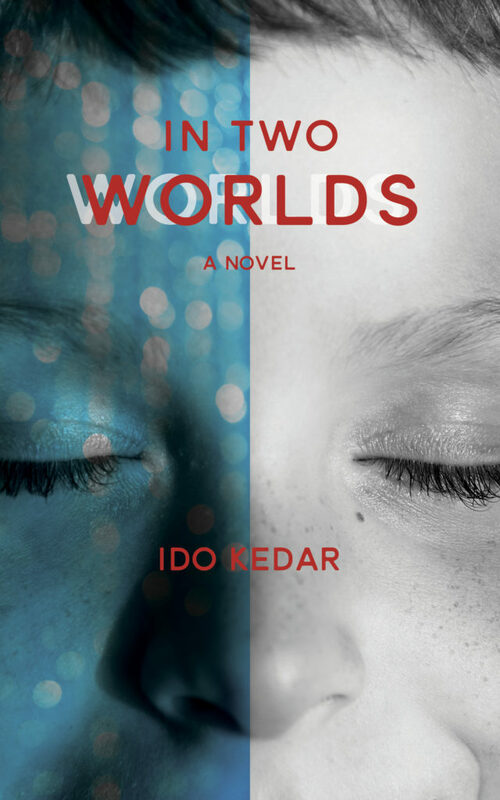 I’m thrilled to share that my new book, a novel called In Two Worlds, will be released in early July. I will share the formal announcement very soon. It will be available in paperback form on Amazon, in kindle and also online on Smashwords. I hope that you will let people know about it and if you like it, I would greatly appreciate if you could write a review online, on Amazon or on Goodreads. For the past several years I have been writing a book. It has been interesting and hard work for me. I can’t write swiftly like a ten finger typist would since I can only point to letters or type with one index finger. Because of this, I have to always keep my plot outline and my scenes planned mentally because I am able to write just a few paragraphs at one sitting. But, my book is at last finished. It is now in the final proofreading stages and it is in the process of having the cover art designed. It should see the light of day in a few months and I will give you more information as it goes. I will share with you that my new book is a work of fiction. It tells the story of a boy with autism named Anthony. I hope when you read his story that you will come to care about him and his family and his two worlds. Me, Carly, Tito, Elizabeth, Naoki. Who are we? Silent fighters, that’s who. I love the flood of books by nonverbal autistic people. It is time to be advocating for ourselves. Why forever must the theories of scholars be listened to over the people with autism themselves? Is it possible Ivar Lovaas or Bruno Bettelheim knows autism better than I do? The momentum is beginning. Here we come! 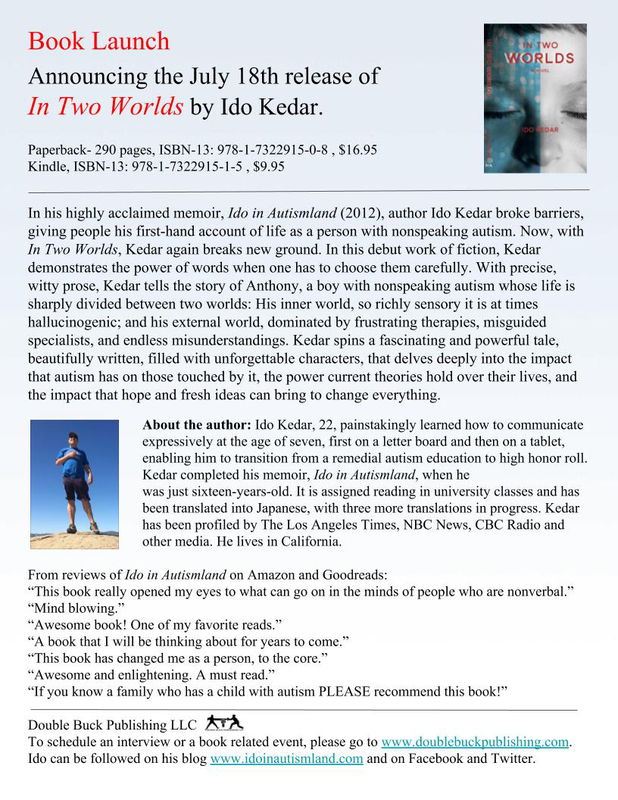 Have you noticed how many new books are coming out by severely autistic, non-verbal people? If you look at my book on Amazon you can see many other books recently published by teens who type. I am glad to see it. Routinely experts claim we are one in a million if we get out of rememdial education and communicate fluently. I think the number is too high. 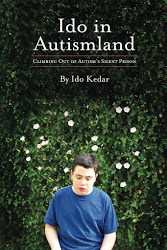 If more and more autistic authors have books we each are less than one in a million, right? Maybe by now it’s 1 in 10,000 or so (Drat, I’m not so special after all, ha ha). Maybe every severely autistic person in the world will have to write a book to end this theory. Since we all express the same message of intact mind and impaired motor control, when will the theories shift to the truth? Option 1- We are all fake trained monkeys scamming you. Option 2- We are one in a million (and going down). Option 3- We don’t have autism. (It’s miraculously cured once we type, lol). Option 4- The theories are wrong. If all non-verbal writers have the same message, that is something to consider, isn’t it?